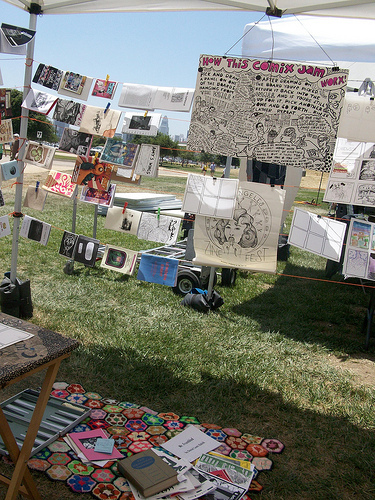 The L.A. Zine Fest will be setting up the only nomadic zine library in L.A. and our trusty buttonmaker at the Press n Play Fest. Let it be known that nothing would make us happier than to see your smiling faces there, too! (If you’re not the smiling type, we’ll still be pretty happy to see your face.) We will also be asking for your opinion about L.A’s very best establishments–bars, food-eries, venues, you name it–for inclusion in a large-scale, collaborative zine serving as a guide to L.A.! All you have to do is suggest a place–we’ll do all the rest of the work. It’ll be a pleasure working with you! 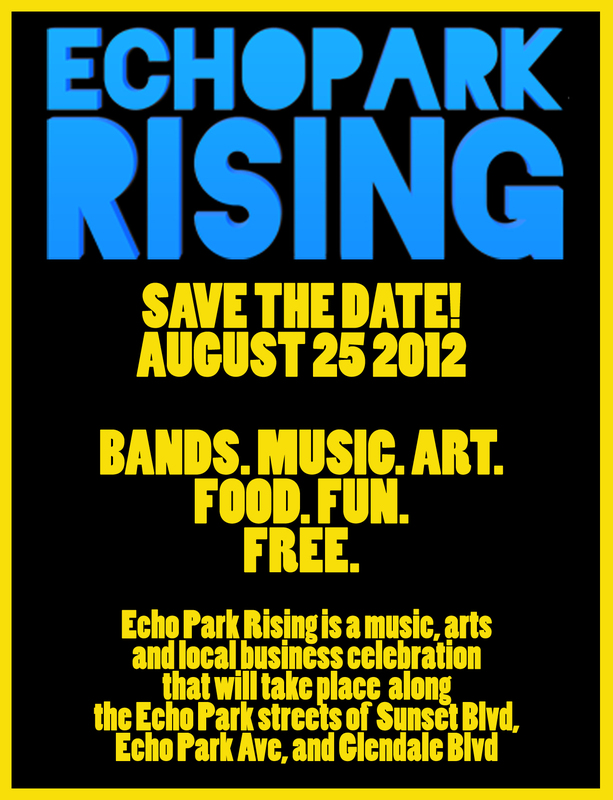 By the way, there will be over 55 bands performing live FOR FREE at Echo Park Rising, including Manhattan Murder Mystery and The Black Apples (nepotism at work; personal faves). The website has links to music for everyone who’s performing so you can plan who you want to see and who you’re comfortable skipping out on to make your own personalized button or eat pizza.